Older members of the population, who have found themselves either stuck in the home or hospitalized for any extended period of time, will more than likely find that they face an increased risk of having a deficiency in vitamin D.
This will be because of an absence of exposure to the sun’s rays, which is the body’s natural and primary source of this essential vitamin. Added to that, as people age the skin’s ability to absorb sunlight and produce vitamin D from it also decreases. Due to a vast campaign of media coverage for about the past decade, an increasing focus and awareness on sun-related skin conditions has caused a lot of people of all ages to either avoid or in some cases totally cover up from the sun’s rays. 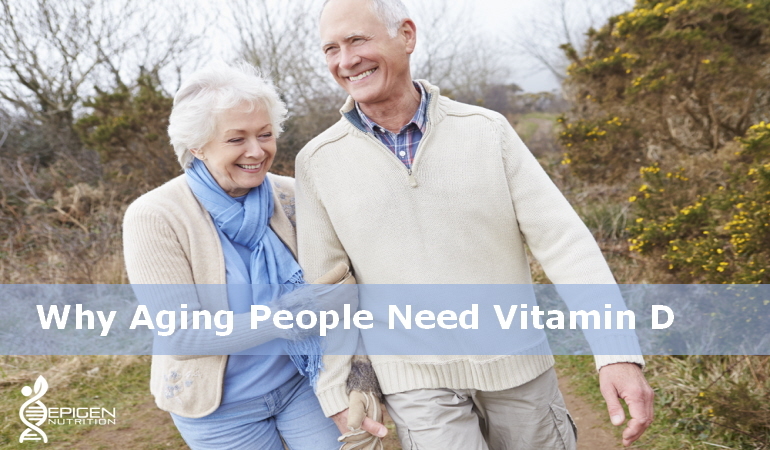 This has led to a wide range of vitamin D deficiency in most age groups in many societies. It is unfortunate that, a lack of vitamin D will cause an increasing vulnerability to many age-related diseases. Most of the effects and incidences of these diseases could be avoided if people were to observe healthy lifestyle habits plus get themselves enough exposure to the sun’s rays. In past years, the nutrient that was considered most essential to our bone growth was the mineral calcium. Recent research is showing that even massive calcium intake does not have a lot of benefit and can even be harmful if it is not combined with other essential minerals and vitamins, the major ones being vitamin D and the mineral magnesium. Vitamin D is an essential nutrient for building healthy bones and lowering the risk of osteoporosis as we get older. Getting a decent amount of exposure to sunlight is important for everyone, but especially for women who are already in their 40s and above. The main reasoning behind that finding is, this particular group has often had their bone density compromised by the natural events of childbearing and lactation. Plus, their lifestyle often limits their exposure to sunlight. Many studies have shown that vitamin D is crucial for helping with the prevention of more than sixteen types of cancer including ovarian, colon, pancreatitis, breast, skin and prostate cancers. Along with being a helpful aid in preventing specific cancers, vitamin D has also been found to play an important role in slowing down the growth of malignant cells. The role of vitamin D in preventing breast cancer is so crucial that this cancer has been given a label by some experts as “vitamin D deficiency syndrome”. There is evidence to support that having low levels of vitamin D can lead to higher risk of coronary heart conditions. A Harvard study revealed that people who have low levels of vitamin D in their blood were twice as likely to suffer from coronary heart disease. There have been additional studies carried out by other groups who also support these findings. A study which was carried out over a period of three years began by measuring the blood sugar levels of 2,039 participants. The researchers followed up with the participants at six months and then each year until the end of the three years. One of their findings showed that for every increase in vitamin D levels, as measured by nanograms per milliliter, a person’s risk of diabetes was lowered by as much as 8 per cent. The study subjects who had the highest increase in vitamin D levels (with an average increase of 30 ng/mL) were able to lower their risk of having diabetes by as much as 38 per cent. A study was carried out in 2006 by a group of scientists to ascertain the role of vitamin D in mental health. The study participants consisted of 80 elderly patients and following an evaluation of their levels of vitamin D, it was found that those who had the lowest level of it were eleven times more at risk of suffering from the symptoms of depression. Researchers also discovered that obtaining as little as 400 IU of vitamin D daily from dietary sources can lower the risk from depression by as much as twenty percent. It came as a bit of a surprise since 400 IU of vitamin D had been previously considered too low to be able to provide any appreciable benefits. This gave strong supporting evidence that a dietary supplementation of vitamin D can be of great benefit when sunlight exposure is restricted.